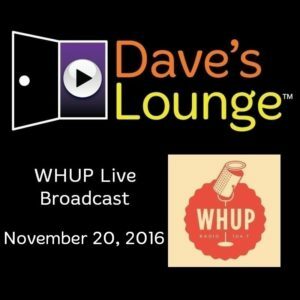 At the beginning of the November 20 broadcast of Dave's Lounge on WHUP, I told a story, and I played a song associated with that story. It was a story about me, my wife, a lot of ice, and a great singer who passed away recently. Sadly, that was a song that I don't have permission to play on the podcast, so I had to cut both the song and the story from this download. If you'd like to hear that part of the broadcast, click here to stream it on the Dave's Lounge Mixcloud page. (1:32:46) Salt of the Sound – Did You Hear It?